Two other churches in Nicaea and Trebizond that served as museums have already been converted into mosques. With Hagia Sophia in Constantinople as the symbol of Ottoman conquest, Erdogan's neo-Ottoman plans need such a symbol to cover up Turkey's economic and social crises. 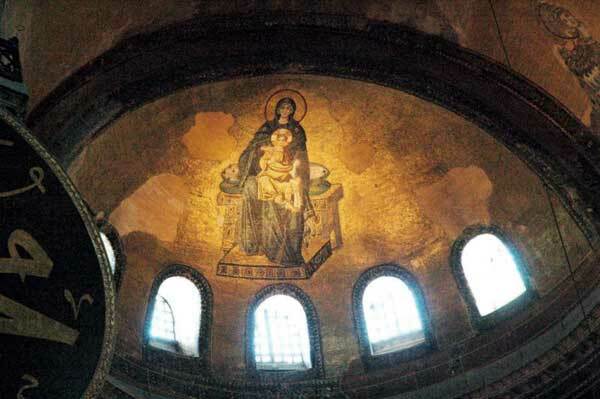 For Bartholomew I, Hagia Sophia could only reopen to worship as a Christian church. Istanbul (AsiaNews) - Increasingly, rumours are circulating about the future transformation of the Cathedral of Saint Sophia into a mosque. This is worrisome because two other temples, also dedicated to Saint Sophia, were recently transformed from museums into mosques. The two churches in question are Hagia Sophia in Nicaea (Iznik), where the first ecumenical council was held, and Hagia Sophia in Trebizond (Trabzon). For the record, with the fall of Constantinople (1453), all of the city's churches were converted into mosques, but with the advent of the Turkish Republic in 1923, the most important monuments were turned into museums. Skylife, the free magazine handed out on the planes of Turkish Airlines, Turkey's national carrier, gives further credence to the rumours about the Hagia Sophia mosque. As an important platform to showcase the AKP government's success to the world, the magazine recently published a long article in English and Turkish to get people accustomed to an already in its planning phase. On the cover, the aim of this idea is clearly spelled out, with an image of the Cathedral of Saint Sophia described as the 'Mosque of the Sultans'. The article emphasises the transformation of the cathedral into a mosque (in 1453) and its subsequent history. The long history of the church before the fall of Constantinople is largely ignored. By carefully reading the article, one gets the idea that the main cathedral of Orthodox Christianity is the highest symbol of Constantinople's conquest by the Ottomans and a kind of reference point for the sultans. The article seeks to show that Sophia reached its peak, glory and splendour only after the conquest of Constantinople in 1453. In the same article, Prof Semavi Eyice notes that Hagia Sophia's survival was due to Sinan, a 16th century Christian architect who converted to Islam under the Ottomans' janissary policy. For his part, Prof Ahmet Akgunduz points out that Sophia is the living memory of Mehmet the Conqueror, and therefore must be restored as soon as possible to "its" spirituality, that of a mosque. From a certain point of view, these rumours and views are not surprising, given how things have evolved in Turkey under the AKP party and Recep Tayyip Erdogan. It is generally agreed that an attempt is being made to polarise Turkish society, extolling the Ottoman past and traditions, to cover up the crisis that is beginning to be felt in this part of the world, characterised by the Turkish lira's fall vis-à-vis the euro and the dollar, the Syria crisis, and Erdogan's interventionist policy after the Gezi Park standoff ahead of next year's election. Speaking to Turkish newspaper Milliyet on the possible transformation of Hagia Sophia into a mosque, the Ecumenical Patriarch Bartholomew I said that if Saint Sophia could reopen as a place of worship, it should be as a Christian church; otherwise it should remain a museum.